Young children's personal, social and emotional development is of central importance to all those working in the Early Years. Expanded coverage of key topics including independent thinking, living and learning with others, and dispositions for learning A new chapter on `Vulnerable Children and Fragile Families', with sections on identifying risk, talking to families, and safeguarding and protectionGuidance for working with parents in every chapter Updated links to the EYFS and a focus on two year olds. 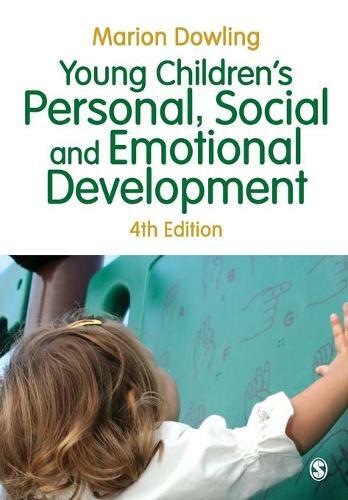 This is essential reading for all Early Years students and practitioners, and anyone working with or caring for young children. This is an excellent addition to any early education library. Marion Dowling takes key ideas from the latest research and presents them in an engaging, informative and accessible way which demonstrates their link with the Early Years Foundation Stage Framework. She makes good use of examples from practice showing how the ideas she explores can be reflected in our practice. At a time when increasing numbers of children , especially two year olds, are using early years provision it is an important reminder of why and how we focus on the needs of the child and their family. "The new edition of this seminal book has so much new information and such an engaging new format, that I would recommend it to you - even if you already have one of the earlier issues."